A rocky economic picture is likely to speed up the migration to cloud computing—again. In the 2008-2009 downturn, companies moved to software-as-a-service vendors. CFOs liked the ability to shift capital spending (build your own data centers and applications) to monthly expenses (subscribing to your software) and gave technology executives a shove to the cloud. Fast forward a few years and technology executives are mostly on the cloud computing bandwagon. In 2008, small and midsized businesses ran for the cloud. In 2011 and 2012, large enterprises are going to make the move. 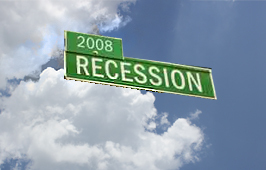 Click here to find out why recession is not a worry for the cloud. The latest Spiceworks survey shows enthusiasm for cloud is continuing to grow in the small and medium business space. Almost 50 per cent of small and medium businesses (SMBs) are using cloud computing, with even more adopting virtualization technologies. “Despite market fluctuations, 2011 proved to be a great year for disruptive technologies as SMBs increasingly adopted tablet computers, cloud services and virtualization technology,” said Jay Hallberg, co-founder and vice president of marketing for Spiceworks. While the cloud is exciting for the IT sector, HR directors, for the most part at least, have been slow to realise the benefits – or, in some cases, even define it. The famous catchphrase of wobble-board supremo Rolf Harris springs to mind: "Can you tell what it is yet?" A snap poll of readers on HR magazine's website last month found an overwhelming 91% of the HR professionals surveyed believe they are not using the cloud effectively in their organization. The selling points for cloud services are that it frees companies from having to spend big on technology support and nullifies geography as a barrier to in-house information, which can be plugged from the cloud as needed. The growth of the cloud market suggests companies are buying the pitch. The market for global cloud-computing services is projected to double from US$68.3 billion in 2010 to US$148.8 billion by 2014. Data suggests that 81 per cent of businesses globally are either evaluating, planning, implementing, or have already adopted a cloud strategy.